The Trouble With My WIP . . . The euphoria at having written 64k words in 33 days is past. Long past. Now I’m faced with a WIP I’m not sure what to do with. It has problems. Many problems. Maybe outlining them here will make them less daunting. Or more. Who knows, but here goes . . . Problem #1: This is probably the second biggest problem, so definitely not listing in order, but that’s okay. Free flow thinking, right? So the problem is POV. Actually it’s more like the tense of the POV. I’ve already written the rough draft in the view point of four characters, and I have every intention of it staying that way. But it is written in 1st person present. It seems to be how I like to write these days, and I think worked very well for my last YA novel. Unfortunately, I’m not sure it’s right for this one. It’s been done before, but writing multi-POV in 1st person can be difficult, because you need to make each character very distinct. The reader needs to know at all times whose head they are in. It’s only a rough draft, but I’m not sure I’ve achieved that. So I started writing in a close 3rd person past tense. That way the reader is in the character’s head, but only one narrative voice is needed. But I’m still not sure. More on that later . . . Problem #2: There are some plot motivation holes. I don’t see this as a big deal, because I know why the characters have done what they did, I just need to sell it to the reader. It’s a case of writing fast to meet that psuedo-NaNo goal, and missing important motivations and characterization. It’s just another part of revision and I’ll add it to my list. Problem #3: Showing and not telling. My writing style tends to be “telly”, which on my last WIP wasn’t all that bad. That character was a matter-of-fact to the point kind of person, and for her in 1st POV to wax elegantly on her surroundings would have been ridiculous. But I do want this novel to have a less stark, concise feel to it. So this doesn’t come naturally to me, but I can do it. I just have to work harder at it. And it kind of ties into Problem #1, as well as the final problem at the bottom of this list. Problem #4: Since this novel is a YA Science Fiction re-telling of The Last of the Mohicans, I wanted to incorporate some of the Mohican culture and language into the story. There aren’t actually any Native Americans, but rather aliens on another planet that humans have discovered. But I am very worried about native appropriations. Though I allowed the Mohican language to inspire the words of my alien nation in my book, and it was done from a place of respect and in an effort to honor the Mohican Nation, it may not be seen that way. I have contacted the Mohican Nation with no response, but I will try again when my novel is finished. There is a good chance if they are not in agreement with my use of their language, I may have to make some changes. Problem #5: So this is kind of all the other little problems that every novel faces, and therefore not a real big deal. Filter words, grammar, typos, etc. They are in every rough draft and so not particularly daunting to fix. It just has to be done and will take time. Problem #6: So this is kind of the big one. I haven’t found my voice. It kind of ties in with the tense of the story and whether I’m inside a character’s head or just hovering over it. And it has a lot to do with my natural style of writing in a more telling fashion than showing. 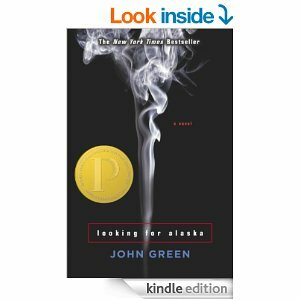 I want this novel to have a lyrical flow, beautiful imagery, and intense emotion. So it’s going to take work. I’m not afraid of that. I love writing, and I love learning and growing as a writer, but it does bring up all those writerly doubts we constantly have hanging over our heads, no matter how many books we write. This sounds like crap. I’m a failure. I’ll never pull this off. You know, that little voice inside your head that encourages you to throw in the towel before you’ve even started. So I’m fighting that voice, and looking for direction. All the little things will fall into place and iron themselves out with hard work and a lot of time and devotion, but the voice, tense, POV, etc. is where I am struggling. Once I get that figured out, it’s just a matter of applying the effort to the work. So any thoughts? Do you prefer 1st or 3rd person in a multi-POV novel? Does showing instead of telling come easy to you? Or like me, do you have to fix that tendency on edits? What about voice? Does that come naturally in the rough draft, or is it something you add as you revise? Let me know in the comments! 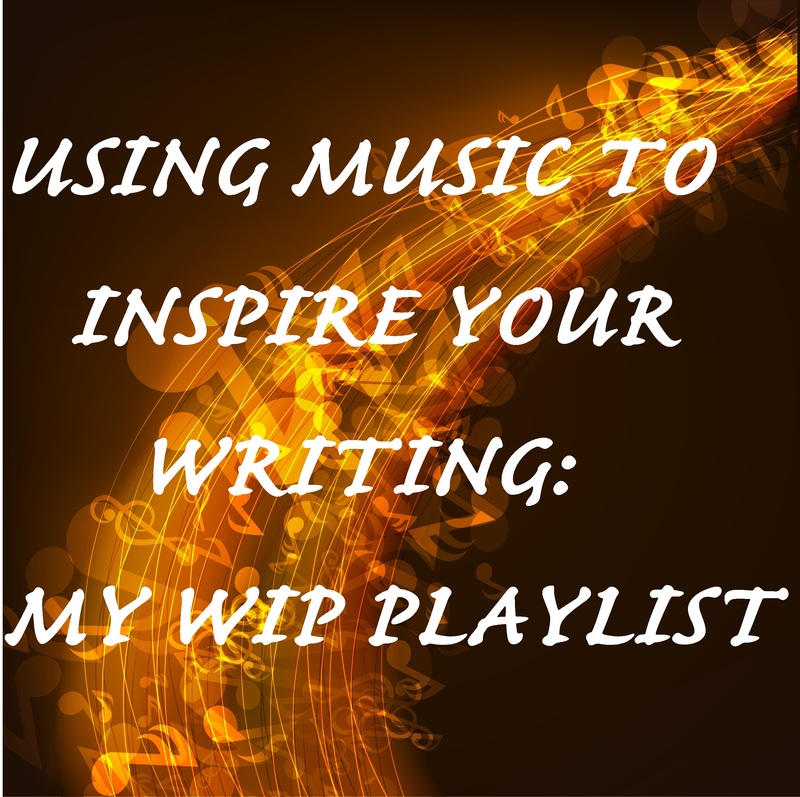 I think it’s fairly common for writers to use music in various ways to inspire their writing. Some listen to music while writing, to get those emotional and creative juices flowing. Personally, I can’t do that. In fact my playlist is going right now and it’s making it difficult for me to write this post. Excuse me for a second . . . Okay, that’s better. The music gets in the way of my words and I just can’t think straight, even when it’s simply instrumental. I feel like something is pressing down on my brain and all my thoughts escape me. But when I’m thinking about writing, that’s a different story. Driving long distances, going for a long walk, taking a bath, or even just sitting in my recliner and “vegging out”, having appropriate music to evoke the thoughts and emotions I want to create in my novel is very inspiring. it’s like watching a movie in your head, the one you’re creating, and adding the soundtrack. So what about you? Do you use music as inspiration? Do you listen when you’re writing, or just when you’re thinking about the story? And do you create a specific playlist, or just whatever comes on? Let me know in the comments! I purchased this book for my Kindle on Amazon. This one will be short. I don’t have a lot to say about Entangled. It was a good, entertaining read that was pretty quick and had me moderately invested the whole time. I enjoyed the author’s use of musical terms to help explain how Cade was thinking and feeling, and even though she was one of those hard luck cases that hates you first before you can hate her, I actually kind of enjoyed it. It wasn’t over done and seemed realistic based on her background. The theme of the story, connecting to other people, became a gradual idea and you saw Cade grow through all of it. She needed her connection to Xan, but she wanted her connection to other people she had gotten to know. And the writing kept me in the story most of the time. I never stopped and thought, “Oh, she should have shown there, instead of told,” or “The dialogue is clunky.” Everything flowed together nicely. There were a couple of times her prose style made me do a double read so I could figure out what she was talking about, but other than that I enjoyed it. This book would be an entertaining read for fans of Science Fiction with it’s interesting take on the universe. The villains were properly scary and the big reveal wasn’t something I saw coming. The ending was interesting and a little heartbreaking, though I knew there had to be something that would keep her from a happily-ever-after. It just didn’t feel like a HEA book. I’ll definitely be reading the sequel. And on a side note, I’m looking for recent YA Science Fiction novels to read. I want to get a good handle on the genre before I start writing. Any suggestions? There are very few books in this world that I consider a must-read for all people. Taste, reading abilities, time, all factor in to make some books just not suitable for some readers, while others will offer them what they are looking for. But The Book Thief is one such book. I am so in awe of the story, and how Zusak tells it, that I’m not even sure I should be reviewing. And my thoughts are so scattered and raw that I’m not even sure what I’m going to say. Everyone knows stories of Nazi Germany, of concentration camps and swastikas, of death and denial. It’s not a subject I care to read, to be honest. Not because I want to deny it or bury my head in the sand, but more because I know and understand what happened during WWII and I don’t choose to revel in its misery. But Zusak draws a picture I have never really seen before, and now that I see it, I can’t look away from its beauty and its horror. I’ve been meaning to read The Book Thief since I heard the movie was coming out. Sad that I wasn’t aware of such a literary gem until they wanted to make a motion picture of it, but there it is. Though a book snob myself, I’ve decided not to look down on people who rush to read a book before the movie comes out, when many “literary types” read that book “ages ago”. I frequent the library and am active online in many reading and writing circles, and still I hadn’t heard of it. Even still, I didn’t rush to read it because there were so many other things to read and get done. It wasn’t until I read agent after agent suggesting The Book Thief as a must-read for any writer who wanted to improve their craft that I decided it must be done. For the record, I think The Book Thief is a must-read for anyone who lives and breathes in this world, not just writers. Learning from Zusak’s skill is just a secondary motivation, though it was at first my only motivation. I quickly saw what those agents were talking about, but was so lost in the gritty, glorious beauty of the words, that all the rest was unimportant. Where I usually devour a book to reach the story’s conclusion like a ravenous animal that hasn’t been fed, this truly was a book to be savored. Some passages I read more than once, not only to try to understand (because there were a few I just didn’t get) but also to enjoy them again and again. Some words string a bead necklace, but Zusak’s made pearls. As usual I forgot to write down particular sentences that sang to me, and it would be impossible to find them now with out re-reading the whole thing. There were so many jewels of thought and lovely imagery that every sentence, every paragraph, felt like brush strokes against a canvas, creating what can not often be done with mere words alone. These dry brittle things we plop on paper and spill from our lips. How is it they are art from some and stones of ignorance from others? When their bodies had finished scouring for gaps in the door, their souls rose up. When their fingernails had scratched at the wood and in some cases were nailed into it by the sheer force of desperation, their spirits came toward me, into my arms, and we climbed out of those shower facilities, onto the roof and up, into eternity’s certain breadth. I’ll never forget the first day in Auschwitz, the first time in Mauthausen. At the second place, as time wore on, I also picked them up from the bottom of the great cliff, when their escapes fell awfully awry. There were broken bodies and dead, sweet hearts. Still, it was better than the gas. Some of them I caught when they were only halfway down. Saved you, I’d think, holding their souls in midair as the rest of their being—their physical shells—plummeted to the earth. All of them were light, like the case of empty walnuts. Smoky sky in those places. The smell like a stove, but cold. I shiver when I remember—as I try to de-realize it. I blow warm into my hands, to heat them up. I say his name in a futile attempt to understand. “But it’s not your job to understand.” That’s me who answers. God never says anything. You think you’re the only one he never answers? “Your job is to . . .” And I stop listening to me, because to put it bluntly, I tire me. 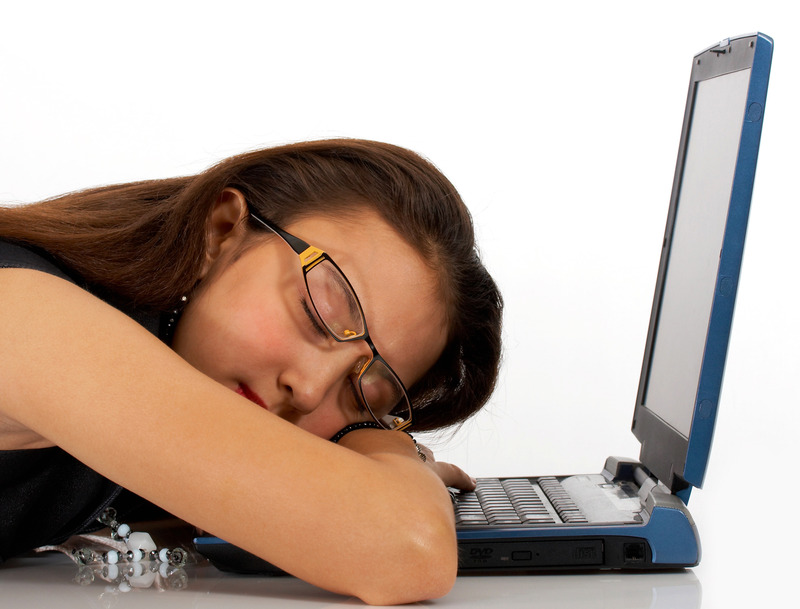 When I start thinking like that, I become so exhausted, and I don’t have the luxury of indulging fatigue. I’m compelled to continue on, because although it’s not true for every person on earth, it’s true for the vast majority—that death waits for no man—and if he does, he doesn’t usually wait very long. On June 23, 1942, there was a group of French Jews in a German prison on Polish soil. The first person I took was close to the door, his mind racing, then reduced to pacing, then slowing down, slowing down . . . It took awhile to draw me into this book. To start with, Rossi begins with 7 named characters within the first couple of pages. I wasn’t sure who I should care about. And since it is Science Fiction, there’s world building too, so all-in-all, I was slightly overwhelmed. Which is to say I was underwhelmed. I like to be drawn into a character’s life with subtlety and hints, and to be emotionally invested in whether this person lives or dies or get’s what they want. I just didn’t feel that with Aria right away. And then there was the fact that we were plopped right into the sort-of action from the start. Which normally isn’t a bad thing, and in fact is becoming more and more common in YA novels, because let’s face, who wants to read 3 chapters about a person going through their day-to-day life so we can get to know them? So what am I asking for here? Well, a balance I guess. I need to be invested in a character before I care about them and I need to be cognizant of their world before I can move through it. That’s hard to do in Science Fiction, and Fantasy too. So yes, a balance, which Rossi did okay, but it could have been a little better. So move forward in the book, and eventually I did care what happened to Aria. Perry I was connected to very quickly, but that may have been because he was more real and his life situations were more immediate than Aria’s. It’s easier to connect with the emotional and physical struggle of someone who has to fight for his life everyday, than some spoiled kid who lives in a virtual reality world. It’s not until Aria is thrust into the “real world” that I began to connect with her more. The premise was fairly interesting, though I wanted to know more about the Aether and what happened to the world to make it that way, but I’m guessing that will come in the later books. I thought the world building was well done and the developing relationship between Aria and Perry played out nicely. At first, you never thought there was any way these two people could form a bond, but Rossi did a great job of connecting the dots, humanizing both characters and drawing them closer. There was enough sexual tension to push the story forward and written in an appropriate manner for the target audience. The action was non-stop and they were rarely out of danger, which keeps you turning pages to find out what happens next. The ending was reasonably satisfying, while still setting up for the sequel with unanswered questions and plot to develop. So basically a good read. It won’t change the world or anything, but it was enjoyable entertainment. I’m kind of running out of things to say, because though I enjoyed this book and I’ll read the sequels, it was just for fun, I guess. I don’t remembered being awed by the writing, but I wasn’t annoyed by it either, so that’s good. The story didn’t inspire me or anything, but it was entertaining. I guess basically, if the premise sounds interesting, you won’t be disappointed. But if not, well, you’re not missing anything. I love Stiefvater. I’ve adored everything of hers I’ve read so far. Okay, so that only amounts to three books, but they were three good books. I am simply swept away by her imagery and prose and the deep wells that her characters swim in full of dark secrets, longings and desires. But after reading The Dream Thieves I am beginning to understand why some readers do not appreciate her style. There were points in the book when I was seriously confused. Did I miss something? Was there a clue or a reference I’d overlooked? Or had I simply forgotten details from The Raven Boys which I read some time ago. It’s highly possible I had forgotten information from the The Raven Boys, but more likely this is just Stiefvater’s style. I remember feeling the same way reading Book 1. Stiefvater states information like the reader already knows it, leaving out all the back story. While it may be slightly frustrating at times, mostly I find it intriguing. She is a master at creating characters who have lived long before they hit the page and they are fully fleshed people with stories you don’t get to hear every detail. She always leaves me wanting more, which is far better than wishing the book had been shorter! In this novel, we get a much closer look at Ronan. To be honest, I’m not a bad boy kind of girl. I’m not usually attracted to that kind of character. And I detest the character who is perpetually angry and striking out at the world. But Stiefvater managed to entice this grumpy, recalcitrant boy into a character even I wanted to know better. The story line in this book is far more about Ronan than the other characters this time, though they each get a fair portion of play. And I especially enjoyed the scenes with Noah and Blue. They were adorable, poignant and bittersweet. But Ronan is the focus and we see why he has become this angry bomb always threatening to go off. Plus the story line woven around his character is gripping and mesmerizing and you can’t take your eyes off the potential train wreck, hoping it won’t derail, but wondering how fantastic the fall out would be if it does. And Stiefvater doesn’t disappoint. This was as spectacular as the first book. We also see a great deal of Adam’s predicament with his sacrifice to Cabeswater, Blue’s troubles with love, knowing she will kill her true love if she kisses him and knowing Gansey will die before the year is out, but I didn’t feel we saw much of Gansey. Since the first had a great deal of him, I guess it’s okay that he was a little absent in this novel, but I hope to see more in the next book. I don’t like to give away too much, as you can see from my vague review, but I loved this book. It was as magical and entertaining as the first, and I can’t wait to read the third!